5 Epic Redstone Creations You Have to See! We all know about the in-game computers and calculators in Minecraft, and no one can forget about the playable tic-tac-toe and functional elevator that go up and down 10+ floors. But you probably never heard about the functional Minecraft printer along with most of the underrated Redstone creations out there on the Minecraft community. So open your eyes and check out our list of 5 Redstone creations you probably didn’t know and be inspired as they are definitely worth checking. 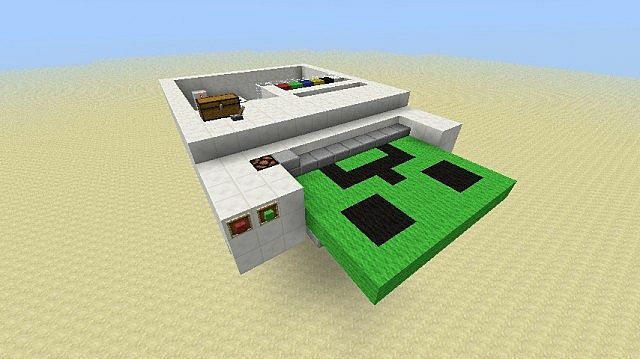 Created by a young Redstone genius under the YouTube username of ACtennisAC, this fully functional Minecraft printer will print out any image you will draw in the large chest. I have to admit, the process looks simple, but even Redstone tinkerers will surely find this mind boggling, impressive, and down right smart. This particular printer uses wools with color red, green, blue, yellow, and black, as well as the blank color (white) to print out the image. The contraption uses an advance Redstone clock and the Minecraft-spawner technique (that I frankly couldn’t figure out) to spawn the blocks while the pistons push them. 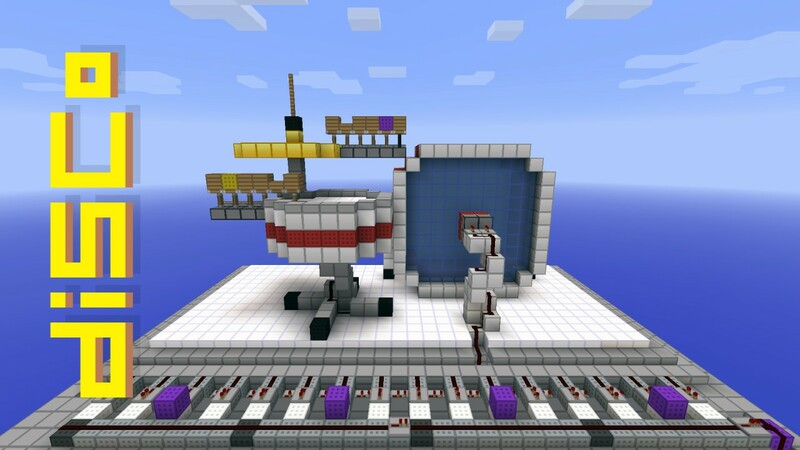 Going from one genius to another, this fully programmable drum kit was created by musically inspired Redstone tinkerer that goes under the username FVDisco. This huge Redstone drum kit not only looks impressive, but works quite impressive as well. The kit can be customized and configured to play any simple beat using its 3 notes that are separated into the colors red, yellow, and magenta. To play the drum, all you need to do is place any solid blocks on the wide contraption located at the front of the giant drum. The solid blocks will allow Redstone current to pass through and play its respective note. It’s actually not complicated to use and is very fun to play around with. You never know, you may have a musical talent inside you. 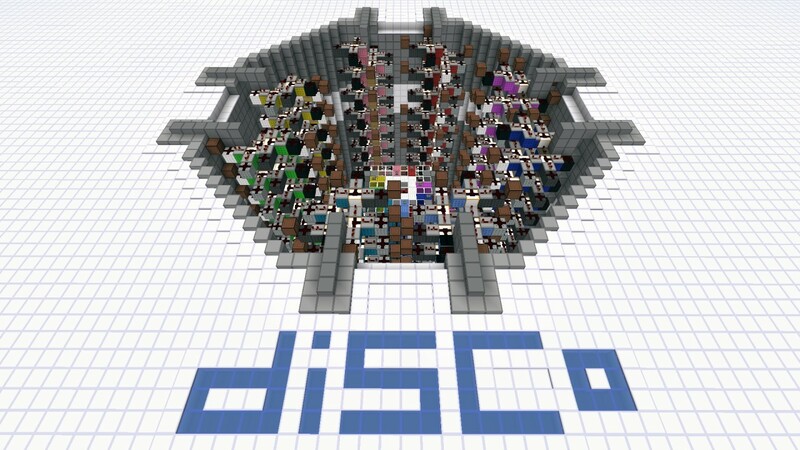 Continuing from FVDisco’s spree is a musical masterpiece with not one, not two, but eight musical tracks that can be played simultaneously. Hence, it’s called an 8-Track Music Sequencer. Each track can be toggled with the use of a lever and can be played simultaneously in the time you want them to. Each track loops around a stylish cylinder (with the notes playing from bottom to top) making it one of the most good looking and compact piece I have ever laid my eyes on, and the best part? There are 8 of them in one contraption – a functionally impressive and artistically crafted as well. All you need to do is just stand in the middle and become the coolest conductor you want to be. For me, this is a must-get musical contraption that will surely be a great attraction to any server. Creating a game with in the game Minecraft isn’t new, but this one is an all-time classic. 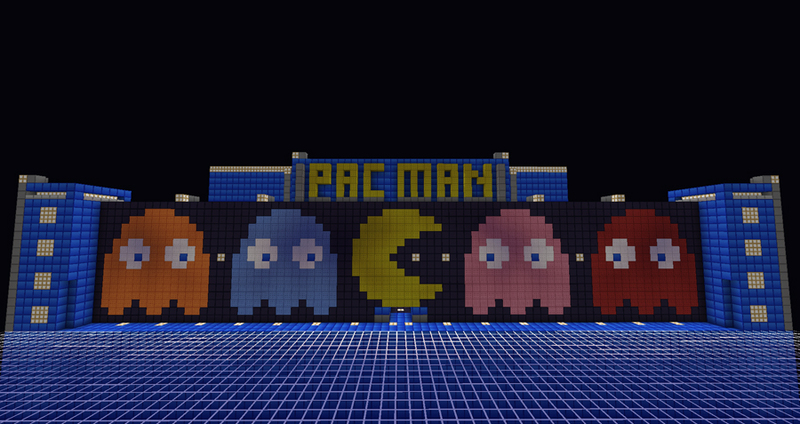 I present you, PacMan Arcade in Minecraft! Created by username Sumisukyo, this recreation of the classic game will make everyone nostalgic and on the edge of their seats, as this Redstone-powered mini game is fully functional, controllable, and downright fun. Check it Out on YouTube! 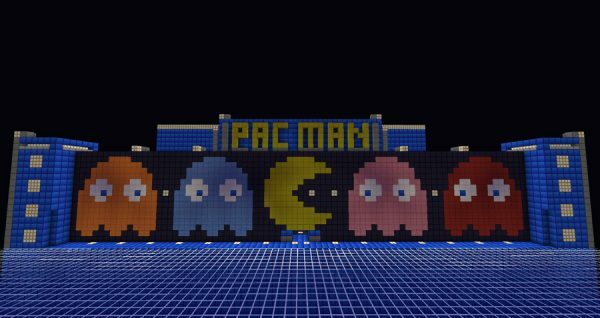 Gameplay is similar to the classic PacMan in which the player needs to collect (eat) all glowing dots (in this case, Redstone lamps), while avoiding enemies and monsters. And just the like the real one, random power ups are also located in this Redstone-powered game. Prior to starting, players may also choose to increase or decrease the difficulty which will change the number of monsters present. Download the MCEdit Schematic and try it on your server for extra tourist attraction. Yes! You might think this is another mob grinder, but the truth is, in all of my Minecraft years, I have never seen one as complex as this. Hence, I placed it on our list. A basic yet effective Mob Grinder has a simple function: It spawns the mob, kill the mob, collect its drop, and store it on a chest for players to collect. This one, however, goes far beyond the basic. 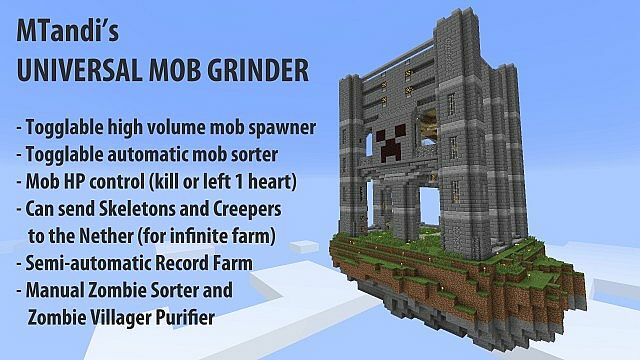 Created my MTandi, this Universal Mob Grinder allows players to toggle the volume of mobs, toggle mob sorter which automatically restarts itself, control the Mobs’ HPs, send mobs to the Nether to override mob cap, and more. Among many other things, this impressive mob grinder also features a built-in Record farm that allows players to collect music discs, a zombie sorter that sorts out regular zombie, rare armored zombies and zombie villagers, and a zombie villager purification process which transports zombie villagers into a mine carts and purifies them to become regular villagers! – Pretty impressive huh? And you know the best part about this mob grinder? It’s free to download! Both its world save and MCEdit Schematic were made available for download by its generous creator. So grab it and place it on your server to see the magic with your own eyes. There is actually a lot more Redstone creations out there that deserve attention, but these 5 are surely worth the try. Inspired yet? Then create your own awesome contraption with the help of your friends. With EnviousHost, managing your server has never been this easy! Upload a map or use a schematic with ease and master our user-friendly panel in no time. So what are you waiting for? Fill your server with these awesome creations and watch your Minecraft population grow. 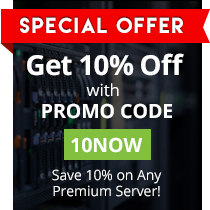 Grab your own Minecraft server at EnviousHost and get a powerful lag-free server at a reasonable rate.